Hair loss, among other lifestyle problems, has become a major concern for both, men and women. Scientific advancements in the arena of hair transplant and the trendy beauty procedures, as stated by many, are quick solutions to hair loss that have gained significant popularity in the current scenario! More than a need, hair transplant has become a trend among youth, especially the ones in their 30s. The technology has not only shaped the dreams of restoring one’s hair into a realistic thing, but it has also made the vision of natural-looking hair results quite comforting. Many studies, surveys, and pieces of research confirm that 7 out of 10 people to enroll for a hair transplant in today’s day and age are men. As much as they may deny the fact, the reality remains intact. Hair evidently plays an important role in defining their identity and making them who they are. When men begin to lose their hair, they also lose a part of their charming personality. This also puts a sapping effect on their confidence level and serves as a major cause of depression as well. Undergoing a hair transplant, therefore, has become a trend amid men, especially the ones in their 30s who have begun losing their precious asset. The technique can effectively and almost effortlessly help them in rejoicing their natural hair feel, restore confidence, and dramatically boost their performance in both, their personal and professional life. 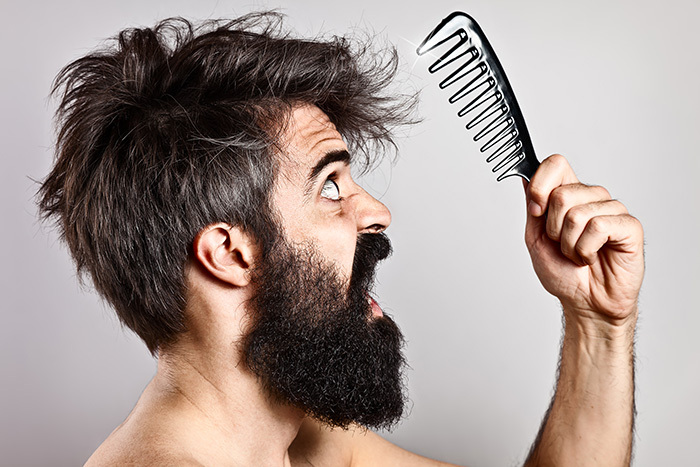 While the technology has significantly created a sensation in the market today, there are a couple of facts that potential hair transplant patients must know. Let’s take a look at them. 1) The transplanted hair mimic natural hair and shed typically between the second and the fourth week of the treatment. It is after the shedding that the roots begin to sprout hair naturally again and continue to do so for the rest of the patient’s life. 2) Local anesthesia is used during the procedure. This makes it painless and bearable in nature. 3) Most hair transplants are outpatient activities, which means the patient can go home the very same day. 4) There’s quite a difference between hair transplant and hair restoration process. The former is an invasive procedure wherein a pre-defined base is fixed on the scalp to offer dexterity and enable a smooth procedure. 5) Hair transplant comes with a set of terms and conditions. One of them states that there’s no guarantee that a patient may witness luxurious hair growth post the procedure. This is because the results of the treatment totally vary from one person to another and on a patient’s natural hair quality. 6) Every individual experiencing baldness cannot undergo a hair transplant activity. It’s entirely based on thorough examination of one’s family history, health problems, hair growth pattern, and other essential factors. Everyone wants to look good and picture perfect. But, sometimes even a natural look gives one’s personality the charm no artificial beautification can commit. For everything else, medical science is here to help human beings gleam and glorify!